Currently located in Berlin at the home of American artist Ryan Mendoza, the historic home could begin a three-month stay in Providence in spring 2018 if initial plans materialize as envisioned by the University’s Center for the Study of Slavery and Justice and WaterFire Arts Providence. PROVIDENCE, R.I. [Brown University] — Since 2016, the former house of civil rights pioneer and American icon Rosa Parks has sat in a backyard in Berlin, more than 4,000 miles from its original location in Detroit. If early concepts for its U.S. homecoming proceed as envisioned, it could soon be on display in Providence, R.I.
Brown University’s Center for the Study of Slavery and Justice (CSSJ) and the team behind WaterFire Arts Providence have joined American artist Ryan Mendoza, who owns the home and transported it to Berlin, to explore the potential for a three-month visit to Providence in spring 2018. The temporary exhibition would precede the home’s eventual move to a permanent destination elsewhere in the U.S. Conversations are in the “exploratory phase,” said CSSJ director B. Anthony Bogues, pending a formal agreement. The early concept for hosting the Rosa Parks house is to display it alongside an exhibition on the historic Civil Rights Movement that would also include new works by Mendoza. These would be created inside WaterFire’s arts center on Valley Street in Providence. 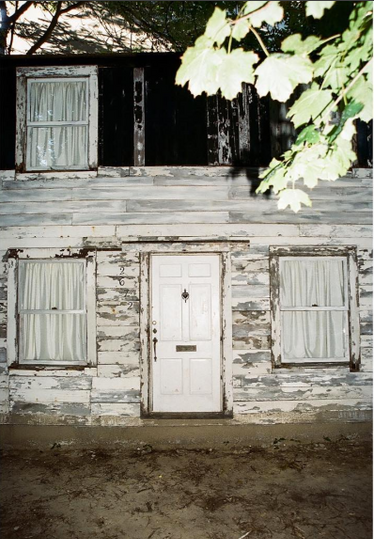 The Rosa Parks house was a small, dilapidated structure that even now after restoration by Mendoza needs protection from weather elements to be preserved intact. In addition to exhibiting the house for public access, the CSSJ, WaterFire and a set of to-be-determined partners would create a series of programs to explore questions related to race, slavery, memory and monuments in America, Bogues said. The pressing need to expand constructive conversation on these issues on a national level makes the return of Rosa Parks home particularly significant at this moment in time. The Rosa Parks home on display in Berlin in September 2017. Photo by Lennart Brede. Brown’s role in bringing the house to Providence would build on the University’s work convening difficult conversations on the legacy of slavery. The Center for the Study of Slavery and Justice itself emerged after the 2006 release of a groundbreaking report commissioned to explore Brown’s relationship to slavery and the transatlantic slave trade. Mendoza, the artist who restored the home and has displayed it publicly in Berlin since last year, said that a university setting can serve as a “moral thermometer” and that the unfettered minds of students will be crucial as the house “goes on trial” before it proceeds to its ultimate destination. He also said Brown’s work to grapple with its own ties to history makes the University an ideal landing spot. “Not to be forgotten is that the fact that the Brown family reaped huge profit from the slave trade — this is part of what makes Brown University such an apt place for a trial setting,” he said. WaterFire creator and artist Barnaby Evans, a Class of 1975 graduate of Brown, said that home’s display in Providence would offer the chance to explore the significant parallels between Rhode Island’s establishment in the 17th century — when Roger Williams founded Providence as a haven for individuals persecuted elsewhere — and the values championed in the Civil Rights Movement. To turn the plans for the Rosa Parks house into reality, additional steps remain. While Brown, WaterFire and Mendoza have committed verbally to bringing the home to Providence, a formal agreement to outline terms of the visit is being finalized. Then, there are logistics — the home needs to be shipped from Germany, transported to Providence, reassembled and prepared for public exhibition, among other operational steps. If all proceeds as planned, Bogues and Mendoza said, the Rosa Parks house would open for public exhibition in March 2018.